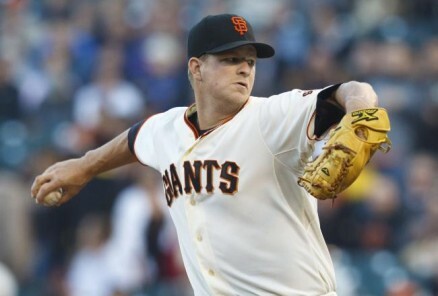 Matt Cain of the San Francisco Giants threw the first perfect game of his career last night, and the first perfect game in franchise history in a 10-0 win over the Houston Astros. Cain also tied Hall of Famer Sandy Koufax for the most strikeouts in a perfect game with 14. Cain, who the Giants recently signed to a six-year $127.5M contract back in April, threw 125 pitches and was helped out by a spectacular catch by right fielder Gregor Blanco in the top of the seventh, which preserved the perfect game. The 125 pitches were the most ever thrown in a perfect game. 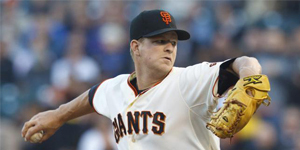 Cain’s performance was the fifth no-hitter in the majors this season, and the second perfect game. Not since 1917 have there been five no-hitters thrown by mid-June.